No matter how much urbanized a person is, there will always be that inner longing to get in-touch with nature. Getaways should never be left out in the list of to-do things once in a while. And with vast number of places to visit for that well-deserved break from all the hustle and bustle of city life, there are ones that really stand out. And definitely, Isla de Margarita is, if not on the topmost of the list, surely above the rest. 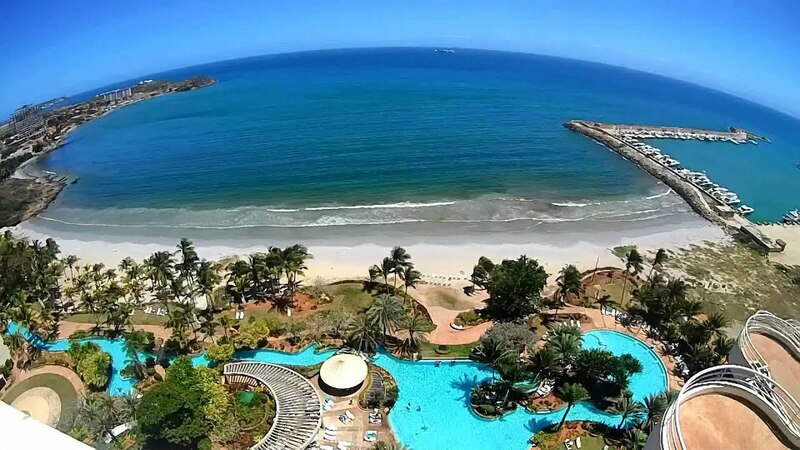 Isla de Margarita, dubbed as the ‘Pearl of the Caribbean’ is located in the 40 miles from the north shore of Venezuela, along with two other islands Isla de Coche and Isla de Cubagua, which form the Venezuelan state, Nueva Esparta. The tropical paradise can be accessed via air or ferry from the mainland. A mountainous island of 1,071 sq. km (including water territories), the island is blessed with white sands and a very much inviting weather fit for Caribbean-loving tourists. Its geography is divided into two small islands connected by a line of mangrove-filled cove called the La Restinga. The climate in Isla de Margarita will truly entice and make visitors stay – with 330 days of sun, in tropical weather that is neither too hot nor too cold. Guests can definitely enjoy having fun under the sun without guilt and worries. Just like its Caribbean neighbours, the ‘Pearl of the Caribbean’ also offer typical resort amenities like hotels, beaches and water fun like snorkelling and scuba diving. But what set this treasure of a place apart are its efforts to provide tourists with quality vacation adventures with friendly costs, due to its low tax status. However, promises of satisfaction can rival even those of posh places. Visitors will also find Isla de Margarita as an endless place of possibilities. Another charm of this island is how it tries to balance its old and modern faces. Clear waters and white sand, with a gorgeous line of palm trees define its modern state as a resort island, but national parks that hold key to its beautiful history facades its revolution from a colony to a free sanctuary. And to add to its arsenal are sparkling pearls that surround its seabed. The paradise is not just named ‘Pearl of the Caribbean’ for nothing – its arsenal is full of pure, exquisite elegance. Its duty-free status will be very much inviting for shopaholics. Products ranging from food to souvenirs, as well as appliances can also be bought there for lower prices compared to some places in the world. Without any doubt, Isla de Margarita is one of the most perfect getaways for people who love the sun and water, for adventurers who seek fun for the body and for the mind, as well as for people who want to relieve stress without worrying too much about the costs. Just like how it was dubbed, this paradise is a sparkling treasure that is not only worthy, but also a feast for the eyes.